WHITE CITY - A driver who fled from a crash that left two children injured is now in custody. On Monday, deputies arrested Rowdy Winterhawk Decker, 37, of Klamath Falls, on multiple charges including the felony crimes of second degree assault, third degree assault, and failure to perform the duties of a driver when persons are injured ("hit and run"). 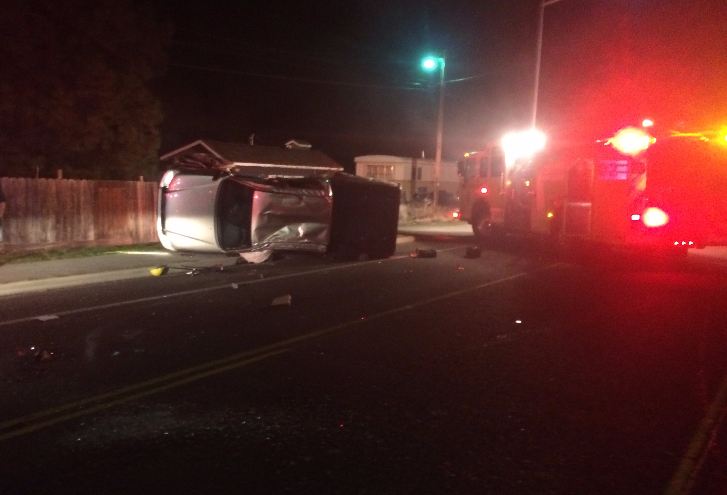 On Sunday, November 19, 2017, at 5:33 p.m., deputies responded to a report of a two-vehicle crash at the intersection of Antelope Road and Lakeview Drive in White City. Deputies determined Decker was driving a red 1992 Chevrolet pickup truck northbound on Lakeview Drive from Highway 140. Decker did not stop at the intersection with Antelope Road and collided with an eastbound 2008 Toyota Tacoma pickup. The Toyota rolled over and came to rest on its side. Two young children in the Toyota were transported to the hospital with injuries, including a broken arm. An adult female passenger went by private vehicle to the hospital for observation. Three additional passengers in the Toyota, including one child, were not injured. Decker fled the scene on foot and was not located despite an extensive search. A 30-year-old female passenger in Decker's vehicle initially fled with him, but returned to the scene. She was arrested on an outstanding warrant for failing to appear in court on charges of eluding police in a vehicle and reckless driving. On Monday morning, deputies located Decker at a relative's home in White City. He was taken into custody without incident and lodged in jail. The case will be forwarded to the district attorney's office for prosecution.